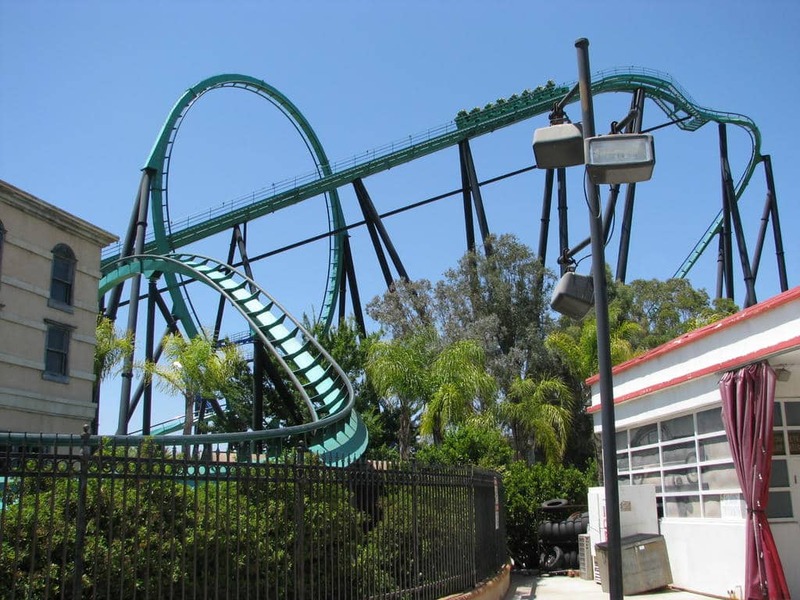 Riddler’s Revenge consists of the most inversions for a stand-up coaster. 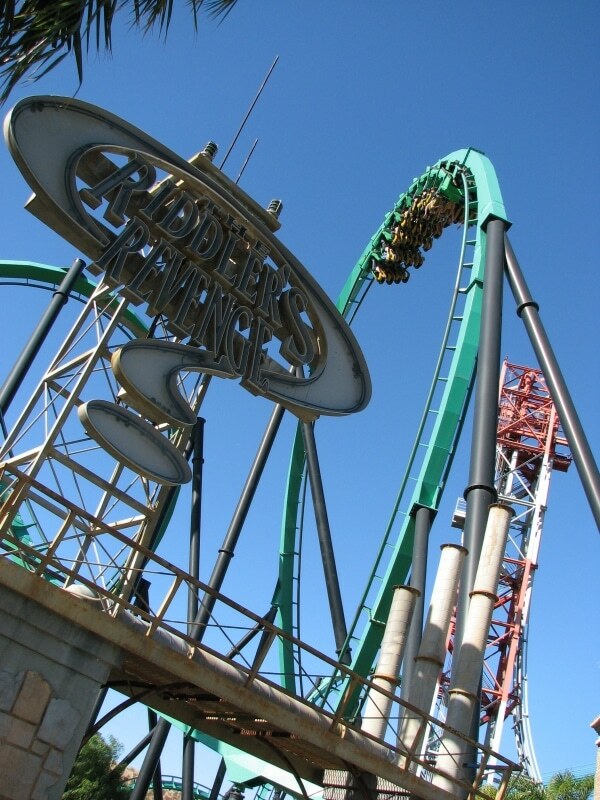 The ride is themed after the Riddler in the movie Batman Forever. 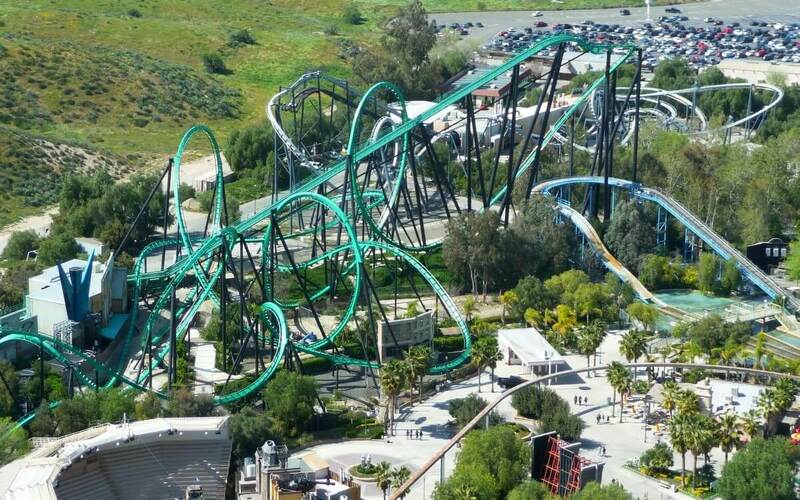 During the ride you encounter a tall vertical loop standing at 124 feet tall as well as two corkscrews and two dive loops. Riddler’s Revenge sets a few records for stand-up coasters; height, tallest drop, speed, track length, largest vertical loop, and the most inversions!